Update: Second date of views (4 Jan 2019) is at the bottom of this post. The largest asteroid Ceres has been orbited by the ion-engine powered DAWN spacecraft since early 2015. DAWN ran out of fuel to maneuver in October 2018 and will remain silent in orbit at Ceres for decades. Previous to Ceres, it visited the second largest asteroid Vesta. This fly-over video gives a close view of Ceres. The asteroid is far away and quite small and dim. It is not something most people have ever seen with the naked eye or in a telescope. 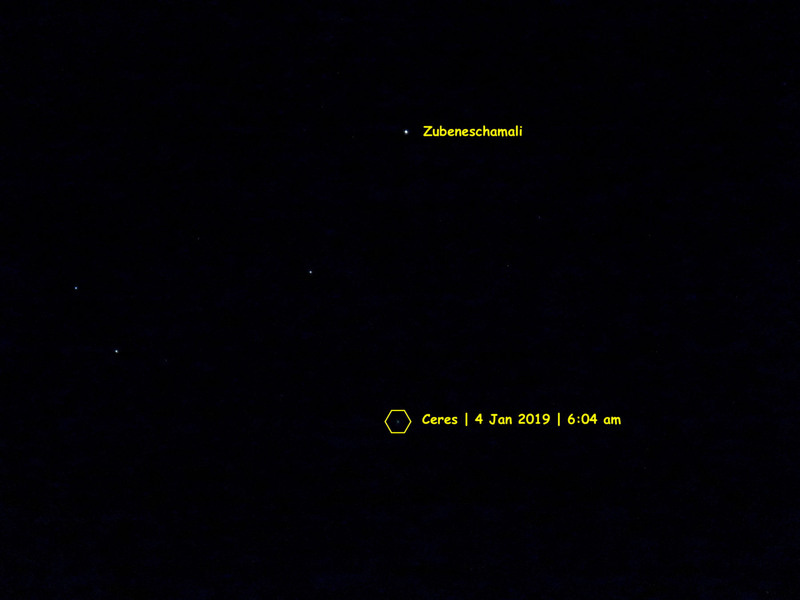 I’ve been tracking Ceres with desktop planetarium software with hopes to see it. I am happy to report success. The morning of 30 Dec 2018 was clear at 6 am. I set my camera on a tripod on the front porch pointed to the southeast just above Venus. Several shots later, I came indoors to check my results. 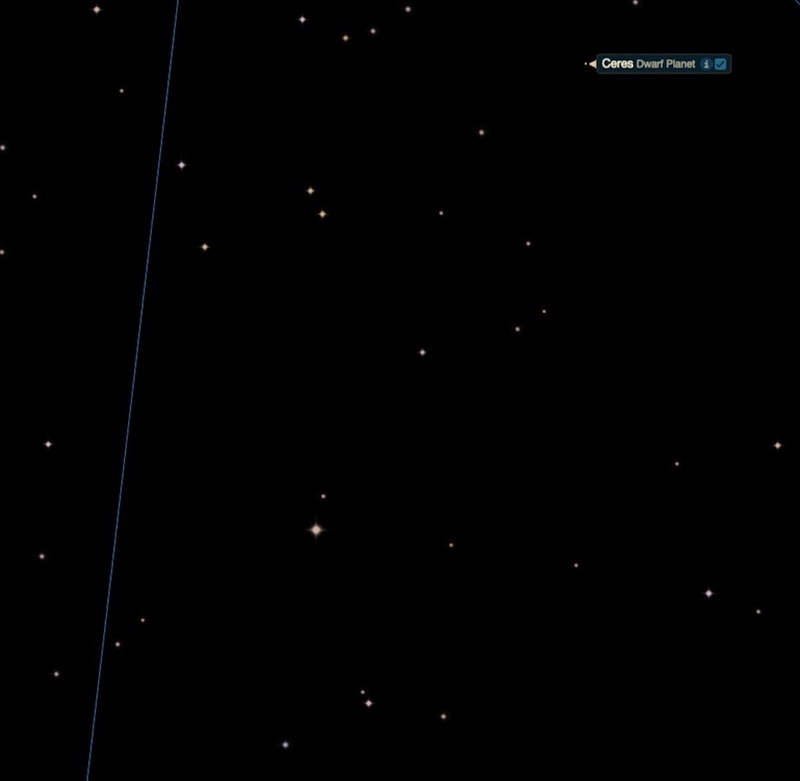 First, I checked desktop planetarium software to see where Ceres should appear in the star field. 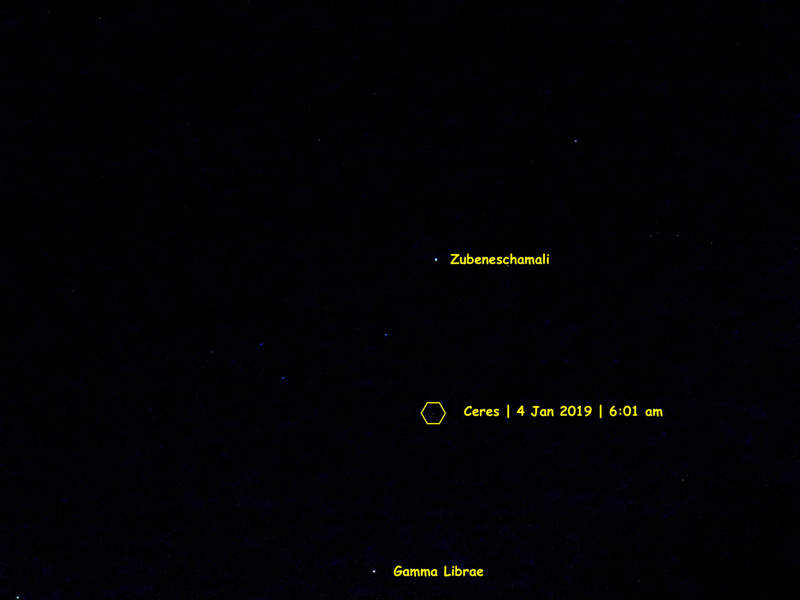 The software labeled Ceres in the upper right. Click to embiggen for detail. Next, I checked the image. Exposure details are 3200 ISO, 1 sec shutter, and medium zoom. 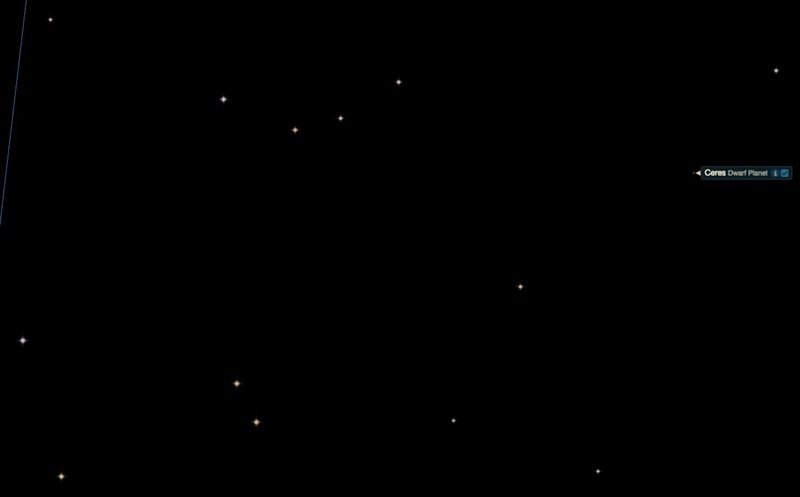 Some adjustment with Photoshop Elements made the dimmer stars more visible. There was Ceres as shown in the planetarium software. The yellow arrow marks the spot. 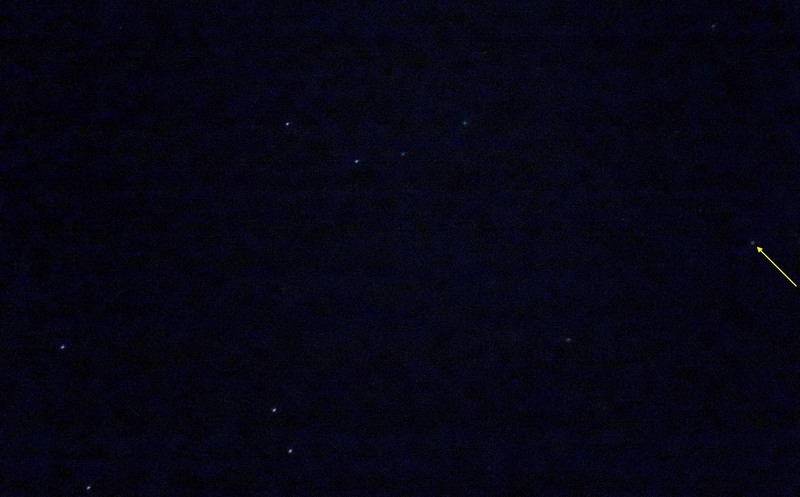 Click for more detail since the stars are very dim and won’t show on a small display. 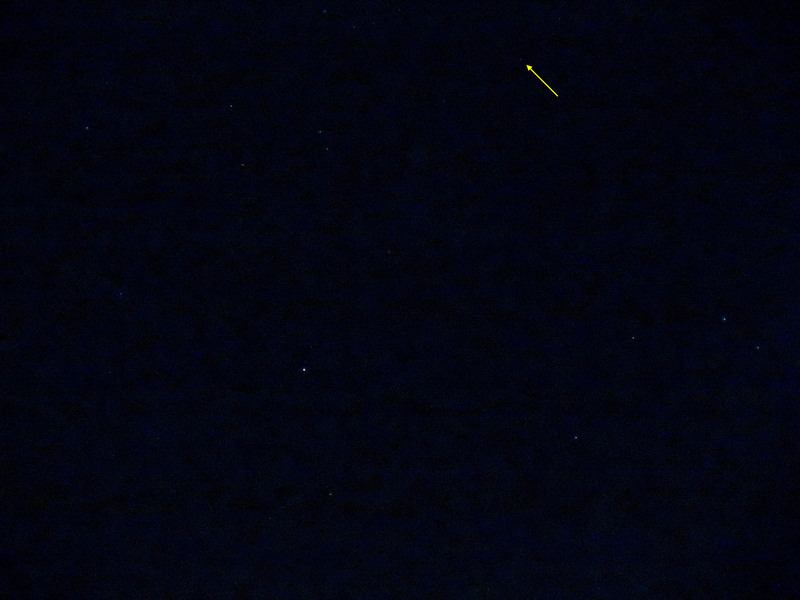 I had another image to view that was at full zoom and also at 3200 ISO and 1 sec exposure. The planetarium software view is first, followed by the camera view. Click for more detail. 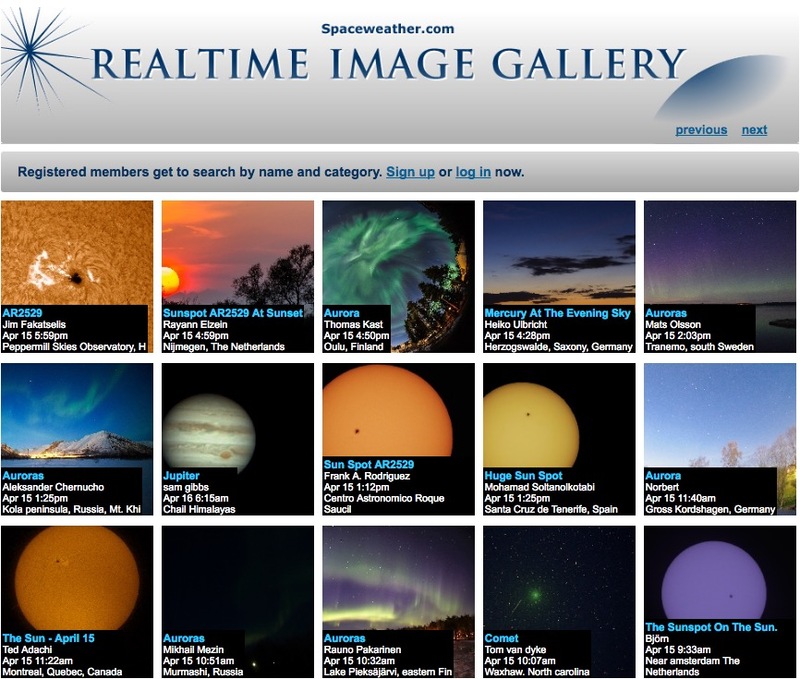 This has been a fun year of viewing heavenly bodies and related space events. I was able to image the two largest asteroids of our solar system. Vesta was first back in October. Given the unpredictable behavior of some of the world’s groups of people and their leaders, I find the predictable movements of the celestial bodies to be comforting. I hope to see more interesting heavenly views and less craziness in 2019. I’m very certain one of those things will come true. 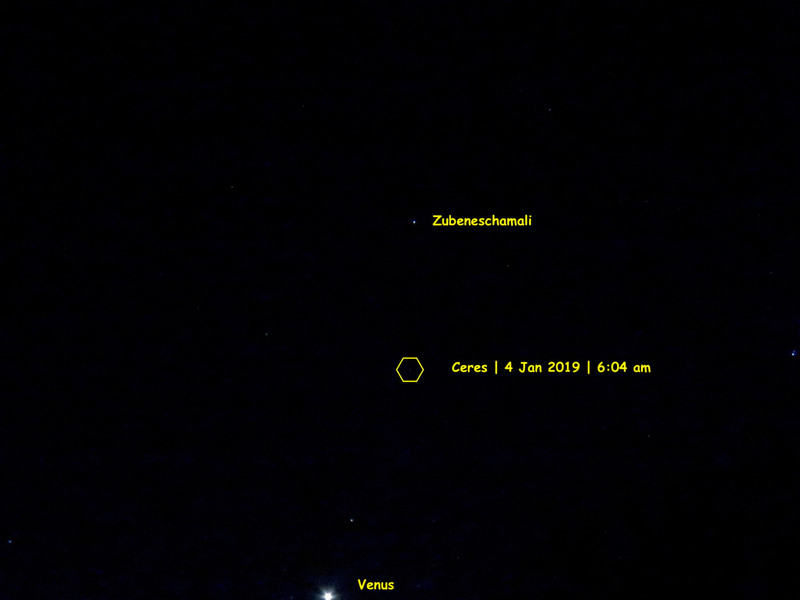 Update: More images of Ceres on the morning of 4 Jan 2019. Click for better detail. Nice work! Just amazing what we can see these days. Heard Yerkes Observatory is closing. Saw it as a youngster – makes me feel old. I had heard that, too. Will it be mothballed, or used as a museum? Great images! Did you see NASA’s OSIRIS-REx asteroid probe started orbiting Bennu. You wouldn’t think a small object would have enough gravity to capture the probe. I always enjoy your posts. Yes. And, I saw a story today that REx was close to making a touchdown on the surface. I hope it goes well. Today, I also watched a news briefing about the New Horizons spacecraft that visited the far away object Ultima Thule. More of that will be share by NASA-TV tomorrow at 2 EST. LOL…you are so funny! I didn’t realize Justin had a big head. 👽 👀 !!! Amazing it is. I enjoy watching the scientists be excited. They deserve it. © 2017 How I See It … jarphys.wordpress.com by Jim Ruebush. Content is my own unless stated otherwise. Ask for permission to use. Give credit. You may reblog and link.